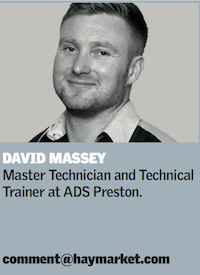 David Massey explores using car forums and social media to work for him at little cost. I couldn’t count the amount of times I’ve heard a customer say, “I’ve been on a forum and I think it’s this…” It is extremely annoying and turns me into someone angry and not very approachable. I guess it’s typical of the male ego, ‘how dare you tell me what I’m doing’ irrespective of the truth. It is true that some customers spend a decent amount of time sifting through the web and come up with some good info, but others will seek out any explanation of why a dash light has come on, for example, and are not easily dissuaded from their theory when confronted with expert evidence. So if customers that browse the internet and tell you how to fix cars make your blood boil and gets you angry… then good! Because that means you have the motivation to do something about it. It struck me that if customers can search and find specific information about their cars then why can’t you find specific customers for your business? The cat becomes the mouse and you’re holding all the cheese. This is a brilliant opportunity where you can target and reach very specific audiences and really focus on your selected customer base that maximises profit and cuts out the unwanted work and customers we all dread. If you type in a common fault into Google – I don’t know, let’s say intermittent loss of power 1.9 diesel VW undoubtedly the first place you would stumble across is a forum with 100’s of posts about turbo vanes sticking or faulty AMM’s. Try it for yourself, go on stop reading this for a minute and try it. Now what if you had the ability and knowledge to direct people to your website instead and read informative and interesting articles about their problem? In other words by having blog posts or Facebook articles pointing to your site. In January we were pretty quiet in the workshop and feeling fed up, I decided I wanted to learn how to build and optimise my own website. With fairly basic computer IT skills the amount I learned to never ever rely on third parties to promote and grow your business because nobody in the world has either the same passion or more importantly the same unique knowledge as you do about your business. Before this exercise my website looked great but was very poorly ranked on Google and I couldn’t be found unless you actually typed in my URL (full web address). Most of my page listings could be found between page 10-20 of which I honestly believe have never been visited since the dawn of the Internet. I specifically targeted the customers and demographics I wanted to target with strategic and careful methods by using specific faults, vehicle specific info and DTC’s embedded behind and into my website. My website is now ranked first for just about every VW/Audi/ seat/Skoda related search in the Preston area and further afield. If you don’t believe me try it for yourself now with your smart phone or laptop. I have done this extremely successfully, in fact so successfully it caught me off guard and has completely redefined ADS as a business. Just humour me and try this for a minute, carry out a search for Audi RS4 inlet valve cleaning and see who’s website comes up. The key is to think like a customer and not like a garage owner, who might type something entirely different to what our customers would. All this data can be very easily analysed by using web analytics which gives us the opportunity to react accordingly and adjust our key words embedded within our websites or SEO (search engine optimisation). You have to ask yourself why on earth would you pay a third party who knows very little about your business and cares even less be good at doing it for you? Simple when you think about it. There’s nothing new in what I’ve discovered only the skills in order to implement the changes. 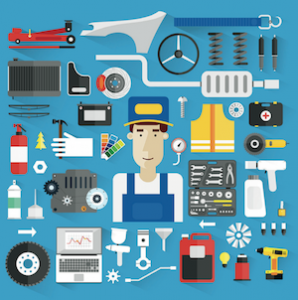 Big companies do all this as a matter of routine, but most garages are literally decades behind in getting to grips with social media and an effective online marketing strategy. The truth is change is happening and there’s nothing we can do to stop that. We must embrace the change instead. If you’re curious to know a little more I have created and designed an in house web development program aimed at helping garage business emulate our success. Like the old saying: If I can do it, so can you.